Vista Waikoloa #D102 -RENOVATED - 5th Night Free Special!! Our beautiful villa has a fully equipped newly renovated kitchen to your convenience. New flooring installed throughout. The oversized flat screen has cable and a DVD player. Master bedroom has a king size bed with on suite full bathroom. Guest bedroom has 2 twin beds. The outside Lanai has a sink, a dinner table with 4 chairs and 2 lounge chairs to catch some sun!!! This is a very bright and sunny villa. It's done in beautiful colors and is extremely clean!!! It's has great lighting throughout the day and you seldom have to use the AC. The breeze is very pleasant. FREE WIFI AND PARKING. The AAA 3-Diamond rated Vista condominiums are larger than most properties and have extra living space and ceiling fans for natural ventilation. The rental had everything we needed,very spacious, the grounds are beautiful and when I had a question/request, I quickly got an answer from the management. The surrounding resort area had the shopping and dining. The nearby beach is great as well and was perfect for my kids, the waves were mellow and the water perfectly warm. We had a wonderful stay and would definitely stay at this property again. " "Basic property in a great location. Although the property is a wonderful location and has nice facilities the unit itself is tired and in a poor state of maintenance. The condo needs updating to be comparable to other units in the area at the same rental cost. The plumbing squeaks, as does the clothing dryer. The beds were terribly uncomfortable. Paint was chipped and dirty, baseboards were terribly worn. Black mold in the master shower. And to add to the annoyances, the door lock is tricky, wireless had to be reset multiple times, and cockroach carcasses in the corner of the living room. We had trouble getting in the first night and there is no emergency number. When we did finally get them they were helpful and friendly. Overall not a great stay for us. " "Lovely home away from home. We had a great time and will be back. " Nice ground level condo. As advertised. Kohala Coast Properties was very responsive and flexible. Highly recommend. " The condo is very spacious and worked well for us and our 2 small children. The condo had just about everything you needed for a great vacation. The mattresses were getting a bit wore out and could use to be replaced. In all it was very clean and a great place to stay. " It was very nice; the appartment was perfect"
The house was beautifully presented. It was clean, tidy and with all the amenities we required. Our family enjoyed the surroundings and were able to enjoy the sites as there was dedicated parking available. Over all, an awesome holiday on Big Island!" Jan 18, 2017 - Lisa B. Great location. Overall kid friendly. Unit was great for our family of 5 (Two adults and three kids)." Very bright, spacious condo in an excellent location with beautiful facilities. We had a few issues, most were addressed promptly by Marissa (thank you!!). There was no land-line (an issue for Canadians who have costly roaming plans) not all the beach gear was available as described..chairs, umbrella and cooler were provided on request. There were boogie boards, inflatables, snorkels and fins, but no masks. Unfortunately, the screen doors need adjustment - they did not close completely so we had some unwanted visitors that managed to crawl in (a giant centipede!)! It also meant that we did not leave the doors open as much as we wished to. Beautiful lanais, grounds, and walking distance to beaches & shopping. The kitchen appliances are getting old, but the basics were there. We are missing watching the sun rise with our breakfasts on the lanai Thank you!" Were some problems when we arrived and the management was awesome and took care of all issues immediately. Already recommended the property to friends. P"
The 2 BR / 2 Ba ground floor condo met all our needs and wants. The pool is wonderful for daily lap swimming because saltwater, 25 yards and heated. The location is a short walk or drive to beach, shops, Lava Lava Beach club, and activities. The condo has six great grills for man food pre to give the ladies a break. We dove Blue wilderness was tops for scuba diving get the 10 dive pack a real deal. We will return. This trip ws 10 weeks in Hawaii. Three at Puna rain forest, 3 wave crest Molokai, 4 Waikoloa, 5 days B&B Kona. Waikoloa is vety easy to enjoy." As it turned out, we needed one more night as we were flying out the day after our reservation ended (we knew the condo was booked going into the rental) and Michelle went WAY BEYOND what I would ever have expected in providing assistance and suggestions on alternative options. She was absolutely EXCELLENT and her efforts were truly appreciated. She even texted some suggestions to me at 9pm to try to help out. Thank you Michelle! All in all a great place to stay and we will probably be back! " Jan 20, 2016 - Dave P.
I recently had the opportunity to spend eight nights at Kohala Coast Properties Inc. The unit was spacious, and immaculate. The furnishings were tastefully appointed. I recently retired from our family furniture business, with a degree in Interior Design, so I am well aware of how nicely a place can look. Great Experience. The app was extremely useful putting all necessary information in one place. The accomodations were excellent and in a perfect location. " Mar 16, 2015 - Darcy B.
Vista Waikaloa condo is a fantastic property. The location is centrally located to the beach, restaurants, shopping, groceries and the Hilton. The grounds of the property is very clean and beautifully landscaped. The pool is large and great for swimming laps. The unit itself is very spacious. Clean and bright. The buildings are made of solid concrete so there was almost no noise from other units. The décor is somewhat dated and some of the kitchen utensils and cookware could use replacing. Having said that I would not hesitate to rent this unit again." Feb 02, 2015 - Richard H.
"Great location ! !.Great customer Service !! Wonderful!! we had exceptional assistance from Melissa, who was very attentive to all our needs. We certainly recommend you company, the few issues we had were hanled very professionally..thank you ! !....the room was OK clean, (carpet needs to be replaced)..other than that issue, nice quiet location, the cleaning crew came back initally to do some spot cleaning, overall...a very good experience. Please extend our special "THANK YOU" to Melissa...take care, the Paton's"
Jan 24, 2015 - Ronald P.
Great place. Was on business for 3 days and needed a little more time and they worked with me to accommodate my needs. " no chest of drawers in 2 bedroom for clothes "
"The grounds were lovely and close to everything . Close to most everything. 18 miles from airport and not in a congested area like Kona. SHop and get gasoline at Costco if possible. The volcano was active and the stars were awesome from the Mauna Kea telescope area that is free nightly from 6 to 10 p.s. WEAR warm clothing at 9300 ft up. The unit itself was in working condition except for refrigerator which was fixed the following day! Needs a few carrying trays for those who enjoy patio eating.Pool and spa were nice and outside BBQ working." Jan 27, 2014 - Janet W.
The condo itself and location were great but the place was not clean. We had to wash dishes before using them. Most of the linens were grey and needed bleaching. The rugs and blinds all needed a thorough cleaning. " Jan 15, 2014 - Mary S.
The location is excellent, the condiminium is very tired, things are broken. Lights didn't work. Carpet filthy and stained. Bed linens old and well used. Fixtures need to be replaced. Kitchen not well equipped. WE would come to the same resort but not rent this unit." It needs a new fridge and the pool was a little warm but everything was great and we realy enjoyed our stay." Mar 22, 2012 - MIke and Deidre M.
I would stay again if in the area. Enjoying to say the least and overall a 90 out of a 100%"
We rented this property because of the price. The location and the resort were outstanding. Meticulously groomed grounds outstanding pool area. The light colored carpets were very stained. The air conditioning was non existent. The fridge took 3 days to get cool and leaked water. The toilets only flushed if you held down the lever the whole time. Alesia was very professional and thorough and attentive to our every need." Hello, this is a great unit for the price, a little dated in decor, carpet and kitchen. Great layout and location of the unit,it's light and bright, with a great outdoor space. 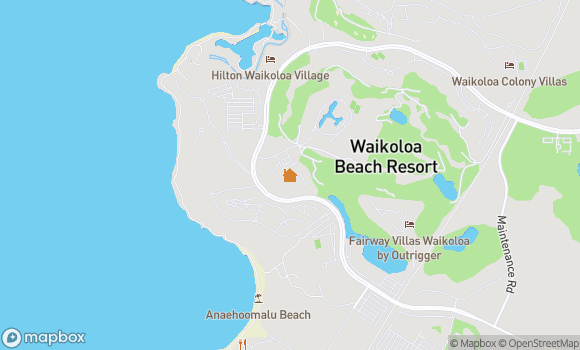 Also, the condo area in Kona is great, close to everything, we had a car and friends were staying in Mauna Lani that's where we spend most of our time. We are two women in our 50's but this could work well for a family. We didn't cook in the unit so not sure how well equiped it is for cooking meals. One suggestion for property management is letting guests know it located between Marriott and Hilton Hotels. The weather was beautiful and Kona beaches so pretty. " Dec 07, 2011 - Joanne K.
"Excellent communication and great place! Stayed here during a conference. Replies from management to queries given within a day. Lovely condo, especially the master bedroom w/ ensuite." Oct 10, 2011 - Lashika M.
The property was not as clean as I would have prefered. There was deep dusting that needed to be done and there were ants in the kitchen. We also would have benefited from something in the home that talked about the home, the pool, etc." "We took Alesia Krueger's suggestion to stay at that property and it was wonderfull!! it was close to the pool and the pavilion. We would certainly stay at your properties again." Aug 02, 2011 - Pricilla A. Thank you so much for all your help and we would definetly like to stay here again.Everything was great once you let us know about the AC and the doors.The only less than perfcet thing I can say about the property was, the kitchen was a little dated,but very well equipped.We loved it there and such easy access to so many venues. The property is beautiful and so well kept up. Hope to be back soon." May 27, 2011 - Sandy W.